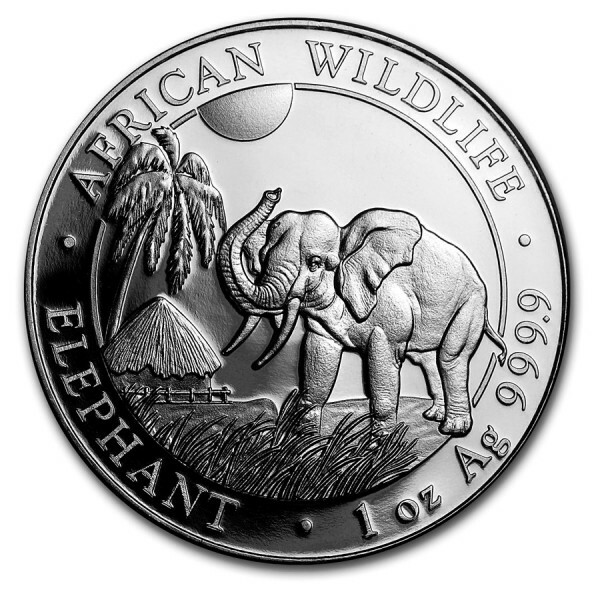 The 2017 Somalian Silver Elephant coins feature on the obverse a majestic elephant tromping through the Serengeti. In the background is a native grass hut next to a coconut tree with a glimpse of the sun rising above. 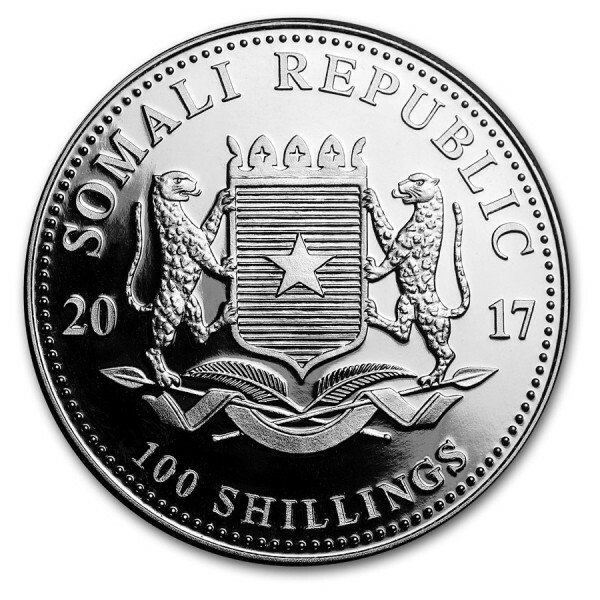 The reverse bears the Somalian Coat of Arms and the date along with the face value of 100 shillings. With a design that changes every year it adds collectibility and interest to this silver coin. In Brilliant Uncirculated condition, each coin contains .9999 fine Silver! 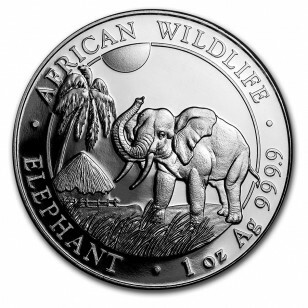 Struck at the Bavarian State Mint in Munich, Germany, these 2017 Silver Somalia African Elephant coins are legal tender in Somalia and are valued at 100 Shillings.